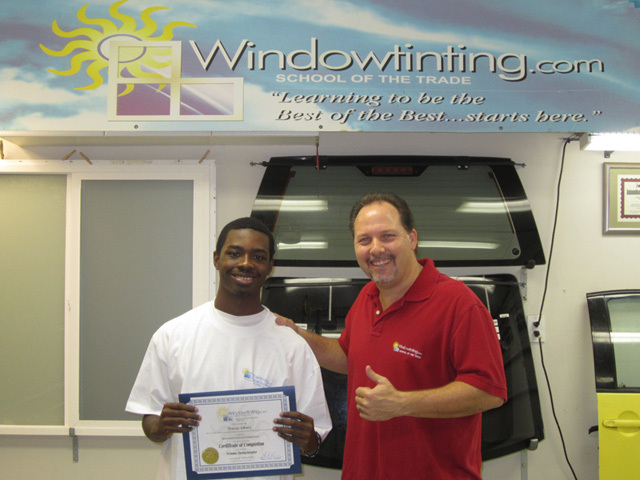 Since I was a kid, I have been working with my dad's window tinting business in the Bahamas and I thought that I knew everything about window tinting. When I came to this tint school I realized the vast amount of knowledge I never knew existed both in theory and the practical side of this trade. I would definitely give this school 3 thumbs up…if I had three thumbs. Trust me, if you want to be a professional tinter, definitely take this course and you won't regret it!